It’s not every day that a college student gets to be the first person in the US to accomplish something. It’s rarer when that student’s pioneering achievement is also a “first” for their university. The student is Sarah Swantner, a Certified Financial Planning (CFP) certificant and director of financial planning at Kahler Financial Group. The university is South Dakota State University’s West River Graduate Center, located in Rapid City. What have they accomplished ahead of Yale, Stanford, Berkeley, Harvard, or any other of the 5,300 universities in the US? 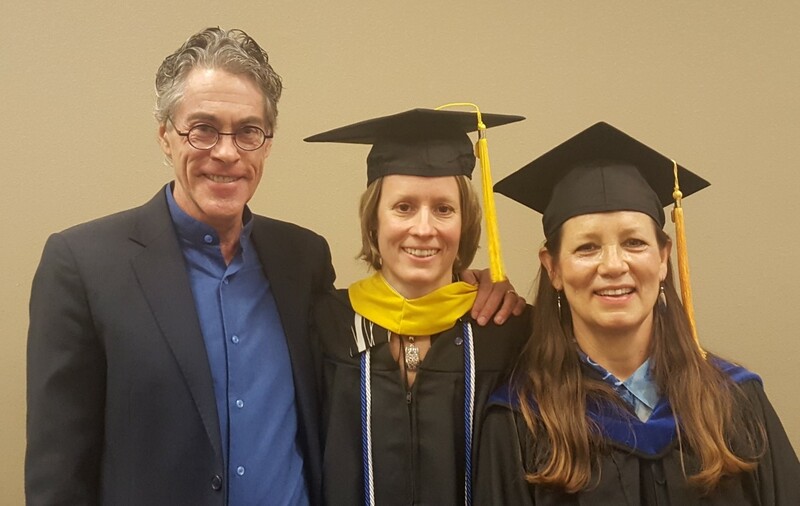 This month, Sarah received her Master’s Degree in Clinical Mental Health Counseling. She became the first person in the US to earn this degree by doing her internship in financial therapy. This milestone happened without much notice or fanfare. Based on my discussions with Sarah’s professors and with Susan Lorenzen, the professor who encouraged and supervised her internship, I don’t think even the faculty of SDSU fully grasps the significance of the event. Here’s why I am so excited about this pioneering achievement. The notion of financial therapy had its beginning around 2000. Dr. Ted Klontz and I developed the first financial therapy workshop in 2004 that blended the nuts and bolts of financial planning with the relational aspects of therapy. It was an uncomfortable union for both financial planners and therapists. Most financial planners were highly skeptical of anything delving into emotions and psychology. Therapists and psychologist were just as dubious about anything related to money. However, just because financial planners didn’t do emotions and therapists didn’t do money didn’t mean the blending of the two disciplines wasn’t needed. Money and emotions are deeply intertwined. Daniel Kahneman, a psychologist, won the Nobel Prize for economics in 2002 with his groundbreaking research that discovered 90% of all financial decisions are made emotionally. Yet financial planners are not trained to deal with the emotional aspects of helping people understand and change their behaviors regarding money. Therapists, while experts in behavioral change, are not trained in finance. To address these issues, a group of financial planners, academics, and therapists formed the Financial Therapy Association in 2010. One main focus of the group was to encourage college financial planning and mental health programs to develop the field of financial therapy. Eight years later, scores of financial planning programs are offering courses on communication and counseling skills. Three financial planning programs—at Kansas State, Creighton, and Golden Gate University—have added certificate or master’s programs emphasizing counseling skills. The University of Georgia’s ASPIRE Clinic trains financial planners and therapists to work together in a first-of-its kind pursuit. However, I am unaware of any mental health program that offers any course on money issues, financial psychology, or financial therapy. This is why what SDSU has done is so noteworthy. It has become the first university in the US to even acknowledge that maybe there is something to the notion that money and emotions are a big deal—and are an area that the mental health profession has a role in addressing. There is another first worth mentioning. Currently a person cannot obtain a degree in financial therapy. This fall, the FTA plans to launch a certification program in financial therapy. The hope is that academia will follow by incorporating aligned financial therapy degrees or specialization tracks. Sarah, with both the CFP certification and a master’s degree in counseling, becomes the first financial therapist in South Dakota. Congratulations to Sarah, Susan, and the SDSU West River Graduate Center for accomplishing this milestone. It is my hope, and that of the Financial Therapy Association, that many more mental health degree programs and therapists will follow. Congratulations to all of you. Indeed a milestone. Congratulations to Sarah on her outstanding achievement! And to you and Ted for getting the movement off the ground in the first place!